No, I’m not going to say ‘Shipwrecked’…!! Here’s mine…. Photographer sleuth Sandy Shipman seeks answers: who has been sneaking into the developing room and flattening all his photographs??? Thanks Terry, I over cropped this, the back ground was ghastly. It made it more of a ‘challenge’, which is fun!!! You’ve made the setting sound really seductive, Rosie. Wonderful book bio, everyone is really getting into these, some tricky letters left in the alphabet to challenge you all soon. 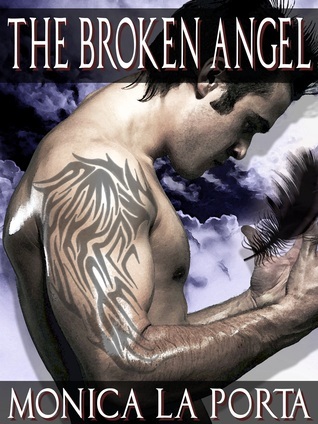 I like the cover of Broken Angel and book sounds good from your review. S… Shifting Sands-murder story of shipwrecked boat with body found in deserted boat. Excellent Susan, Murder! I have this image of you as such a gentle person!!! I marvel, I more I read review here, how genres have so many levels but still mesh and sound an interesting read. You’re winning me over, Rosie. Title: Scrapped &^ spurned. The pirate ship runs aground. Sick, low on food and water, and only two left alive, they make a run for it, but will they survive? Thanks Tess, I do alike a good pirate tale, I have one coming up tomorrow for you. Covers do attract attention. This one sure makes me want to learn more about this character. The story sounds intriguing. Thanks Beverly, with internet shopping covers are an even more important part of marketing a book.